How many superheroes does it take to right a wrong? There should be a superhero (GrindMan?) 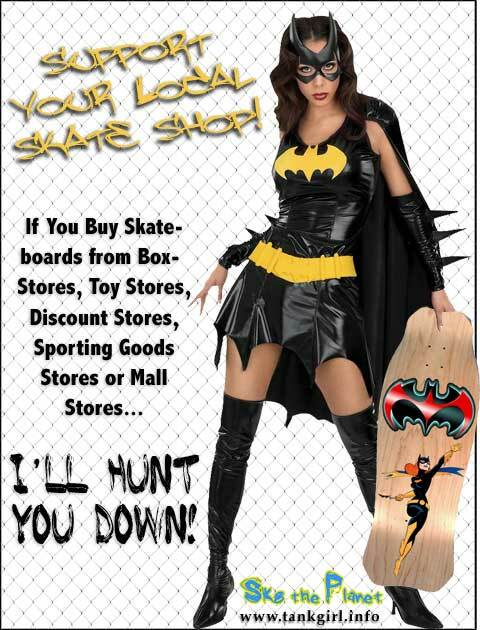 that will whisk you away from box-stores and toy stores if you start to buy a skateboard. GrindMan would soar off with you and release you at the nearest independent skate shop. There you can safely buy quality skateboard products without worrying about low quality or bad advice.